Are you looking to try a bit of online poker beyond the ubiquitous and super popular Texas hold hold’em? 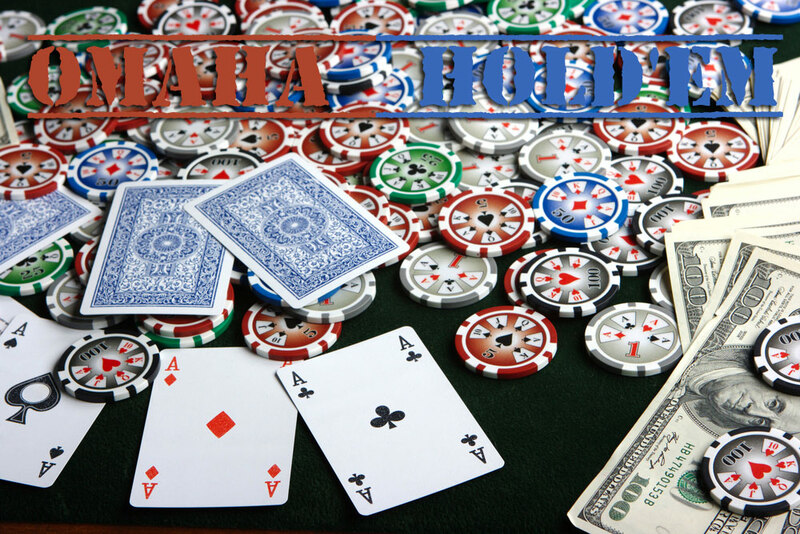 Then you need to look no further than Omaha hold’em, which is arguably the second most popular poker game online. The great thing about this game is that even though it’s very similar to Texas hold’em in most aspects, it introduces a key difference that makes up for a strategically dense rather than action-oriented game. If you’re looking forward to start playing Omaha hold’em online, this article will provide all the information you need to step forward confidently. Read on to learn the basic Omaha hold’em rules as well as some key pieces of advice to help you figure out how to play Omaha poker to win. If you’re familiar with Texas hold’em poker, you’ll find the mechanics of Omaha hold’em online are very much the same, except for one key difference: in Omaha you get four pocket cards at the start of the game (rather than two as you might expect in a game of Texas hold’em), and you have to pick from exactly two of those cards along with the available community cards to put together the winning hand. While at first this might sound like a trivial difference, it does impact the flow of the game tremendously, as well as making for a slower, more deliberate, and often more unpredictable game – as you’ll learn in the following section. There is another key difference which is more of a subtlety in the rule outlines above: you see, in Omaha hold’em poker you are required to pick exactly two of your four hole cards to find your best possible hand. This contrasts directly with Texas hold’em, where even though you get only two pocket cards to begin with, you’re not actually required to use both (or either) of them to put together your winning hand. Remember this: In Omaha hold’em poker, you get four hole cards and you have to use exactly two of those cards (chosen at your discretion) along with the available community cards to put together your hand. Asides from this crucial distinction, all other aspects of the game play out very much like you’re used to – with five community cards being revealed in three steps (flop, turn, river) and rounds of betting taking place in between. Does that mean that someone who is already great at playing Texas hold’em poker will always succeed at playing Omaha hold’em poker right from the start? Not necessarily, because both games call for quite different pacing and method, as you’ll learn in the following section. Much like in other games of poker, the single most important strategy to keep in mind is “fold often, watch closely”. You must avoid playing very loosely and only join games where you foresee a reasonable chance of having a good hand, based on the initial cards. Likewise, you should avoid playing aggressively until you’re very confident on the outcome of a particular hand. Temperance is one of the most important qualities a poker player should nourish in order to win consistently. To become a true poker master, you must learn when it’s the right time to move – and you must learn to wait until the right time comes. Concerning effective strategies specific to Omaha hold’em poker, you should keep in mind that Omaha is invariably a flop game. This is so because when those three community cards are revealed, all players effectively can start putting together different hand combinations from those three cards plus their four hole cards (out of which exactly two must be used, remember). As you can imagine, this means the most strategic moments in a game of Omaha play out by the flop. That is when most of the chips tend to be tossed around during a typical game of Omaha hold’em poker! Sure enough, the turn and river can shift the balance of power, but in general terms most of the real decisions will have been made right off the bat. This means that in order to become really good at Omaha, you should focus on what is called “the nuts” – the best possible hand that can be made using the initial cards. If you happen to hold the nuts in a game of Omaha, that’s when you should jump ahead with all you’re worth! Until that moment comes, you must learn to be deliberate and position yourself correctly. Becoming a Casino VIP Member Has Never Been Easier!